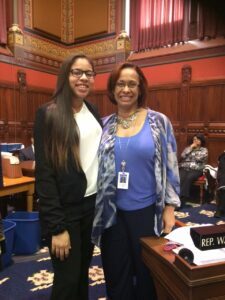 New Haven, CT, March 26, 2015 – Selected among several local outstanding youth, Kelcey Perez will compete against other outstanding Boys & Girls Club members from across the state for the Connecticut Youth of the Year title and a $5,000 scholarship and advance to regional competitions. Regional winners receive an additional $10,000 college scholarship, renewable for four years up to $40,000. Six youth, including five regional winners and a military and a military winner, advance to the National Youth of the Year competition for a chance at an additional scholarship of $25,000, renewable up to $100,000 for four years. 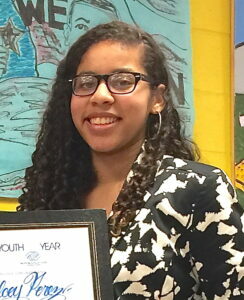 The National Youth of the Year represents all Boys & Girls Club youth. 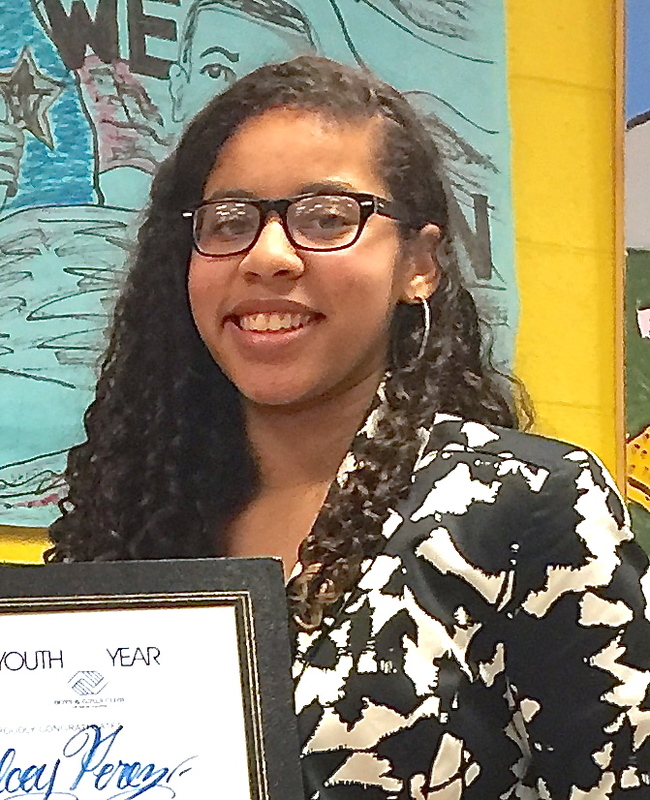 Being named Youth of the Year is the highest honor a Boys & Girls Club member can receive. As Boys & Girls Club of America’s premier youth recognition program, Youth of the Year recognizes outstanding contributions to a member’s family, school, community and Boys & Girls Club, as well as how they have overcome personal challenges and obstacles. Youth of the Year encourages Club members to reach their full potential by achieving academic success, leading healthy lifestyles and contributing to their communities. 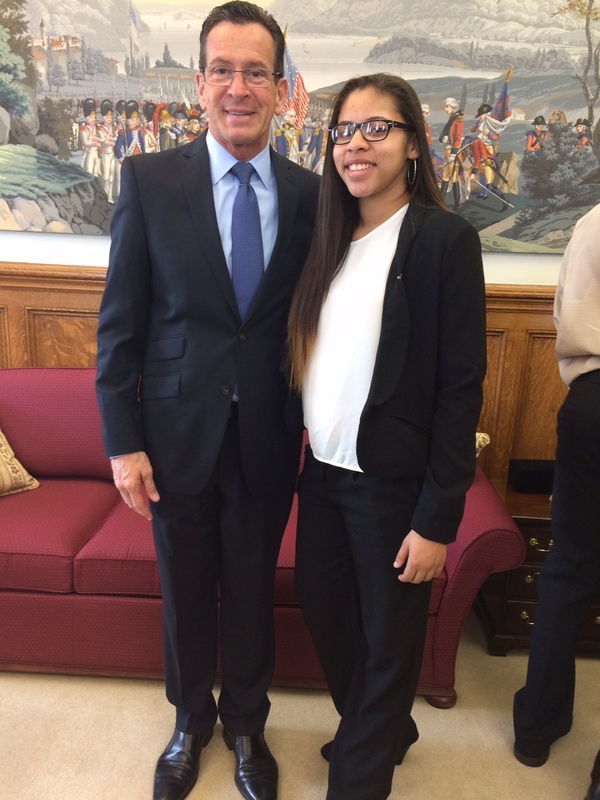 Youth of the Year honorees are shining examples and living proof that great futures start at Boys & Girls Clubs. “The Youth of the Year candidates make me incredibly proud each year. I know their stories -how much each of them have overcome to reach their goals. It also highlights the impact of our work with youth and their families. The parents and staff are beaming with pride each year. These young people truly inspire all of us.” Carlos Collazo, Director of Program Services & Operations. Kelcey has been a club member at the Boys and Girls Club of New Haven for a little over two years. Though she started off as a shy and reserved young lady, Kelcey has matured into a confident young woman. 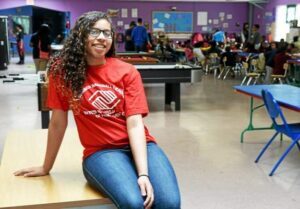 “My experiences at The Boys and Girls Club of New Haven have helped me grow as a person and have given me a chance to be a role model to the younger generation.” Kelcey began as a member of the 11-14 year old girls group and now spends her time volunteering with the 7-8 year old group. 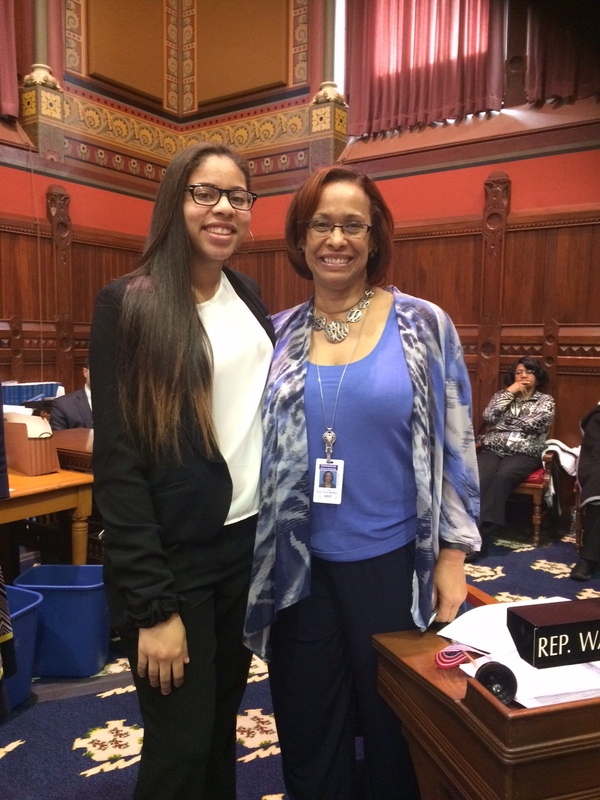 She actively serves as a role model, mentor and homework helper. Recently, Kelcey was able to share her passion for dance with other members of the club when she choreographed a piece for the 7-8 girls for Black History Month. Kelcey is also a member of the Keystone Club, a leadership program for teens which provides opportunities to participate in activities that focus on Academic Success, Career Preparation and Community Service. 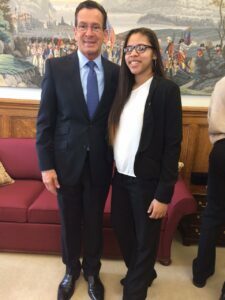 A freshman at New Haven Academy, Kelcey has received honors this year and looks forward to challenging herself academically through out high school. She is currently working on a project that allows her to work with children and provide assistance with keeping the community garden fresh as well as planting new vegetation. She strives to set an example for young children to overcome their insecurities and hopes to inspire them to never give up on their dreams. The State Competition will be held on Wednesday, May 6th and 7th at the State Capitol. Let’s wish Kelcey the best of luck at the State Competition! !